Not sure if anyone actually cares about these things, but oh well. 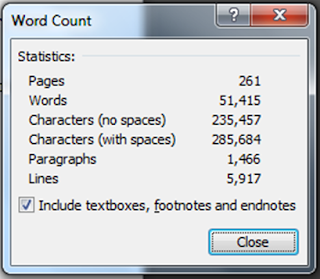 There are approximately 86, 603 words in the first Skulduggery book, 371 pages and 30 chapters. So to be fair, we're doing pretty well. I'd say we aren't too far off the halfway mark now. Not sure when 15 will be here.